A report has been issued on the accident that occurred in August 2015 at Jökulsárlón glacial lagoon when an amphibious truck crushed a Canadian woman to death. It has been revealed that the driver was without a licence for the vehicle and that the camera in the boat for reversing was broken. Rúv reports today that the driver, a young man, has been charged with involuntary manslaughter by the South Iceland police and could face up to six years in prison. The new report released yesterday by the Icelandic bureau of accident investigation furthermore reveals that none of the staff had checked to see behind the vehicle to see if there were people there. Last year Michael Boyd, the husband of Shelagh Donovan was interviewed by Iceland Monitor describing the event. "We walked towards each other and our helicopter had come back and landed. The three of us were standing together looking east towards the helicopter. Its rotor was still winding down and there was some noise. We did not know that 52 meters directly behind us one of the amphibious vehicles had loaded passengers and backup up all that distance directly into us. I was in the middle, my wife was on my left and my son was on my left. We had no warning as it backed into us. My son escaped around to the right side of the vehicle, I was knocked to the ground and the vehicle passed over me. The wheel was inches from my face. My wife was directly in line with the right rear tires and was knocked to the ground and it passed directly over her. She was killed instantly. Her last words that I hear were, "What's happening, and then, Oh my God." The new report, issued yesterday by the Icelandic bureau of accident investigation says that as the people were standing behind the vehicle watching a helicopter land, couldn't hear the vehicle because of the noise from the helicopter, and that the vehicle didn't make any warning noises that it was reversing. The whole family fell and the woman was killed instantly as she was crushed by the right wheel. More factors are mentioned that contributed to the accident, such as the borders between pedestrian and vehicle traffic on the parking lot being unclear. 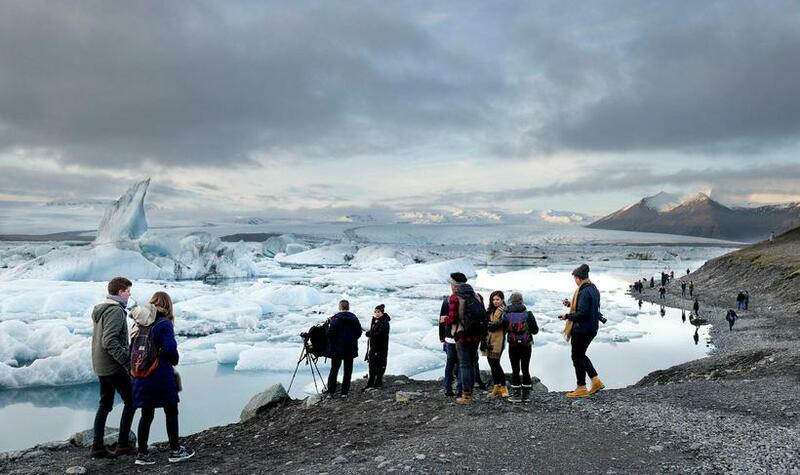 The report asks landowners and managers of Jökulsárlón to improve traffic security to lessen the risk of accident and to improve safety regulations for amphibious vehicles. Rúv reports that the driver of the amphibious vehicle was 22 years old when the accident occurred. Speaking to the lawyer of the family of the deceased, Rúv reports that the long time that it took to investigate the case has proven very difficult for the family. The lawyer says that the family is demanding compensation but could not say anything more for the moment. 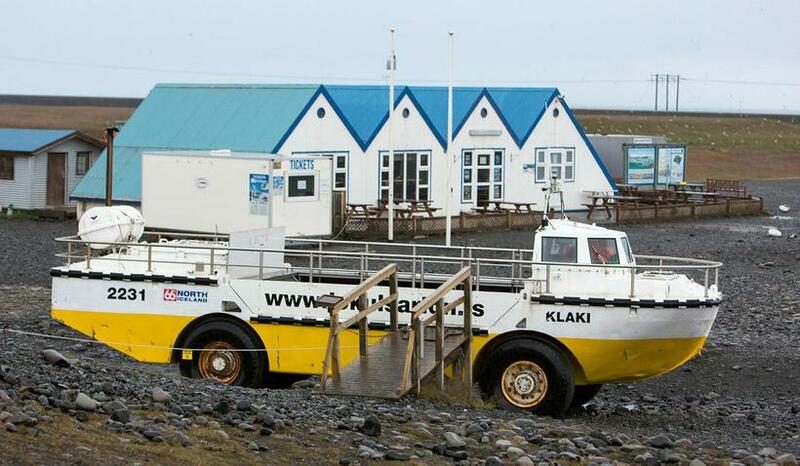 The manager of Jökulsárlón ehf, the company running the amphibious trucks has not yet been available for comment.